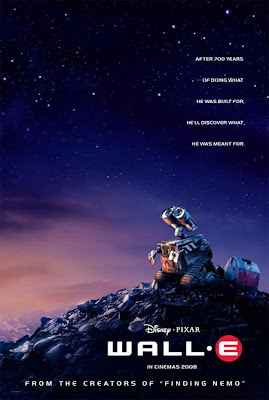 The first Pixar movie set in Space, Wall-E has charmed billions all over the world with it's truly unique quality, making it one of the best animated movies ever and a sure winner at the Oscars 2008 ! A beautiful love story set in the future when Earth has been plundered by us humans and deserted with literally tons of trash and a robot they never turned off before leaving, WALL-E (Waste Allocation Load Lifter Earth-Class) ! With WALL-E, Andrew Stanton, the director has created a totally original futuristic animated love story, one can easily watch more than once and still not mind watching it again ! There are a number of important messages in WALL-E, fundamentally it's a touching Sci-Fi love story. Yes, you can take from it the lesson of protecting our environment and it's definitely a cautionary tale about our reliance on technology to do everyday tasks for us. Above all, WALL-E is simply one of the most romantic tales ever !
" 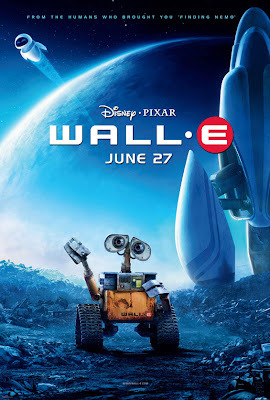 An Adventure Beyond the Ordinar-E "
Wall E is a must see !